It’s been just over two weeks now in my quest to eat and live healthier. I’d be lying if I didn’t say that it was a bitter challenge the first few days. Cravings for sweets, one more glass of wine and of course that warm, chewy goodness of a thick slice of bread slathered in butter! But, I’m happy to say that IT GETS EASIER! I’m also happy to say that I’ve had quite a few people approach me with questions, interest and encouragement. Several have joined the crusade alongside me and for that I’m grateful. It always helpful if you’re doing this with family members or friends that you can share your successes (and some failures…damn that last piece of chocolate I found hiding in the pantry! ), recipes and meal planning strategies. 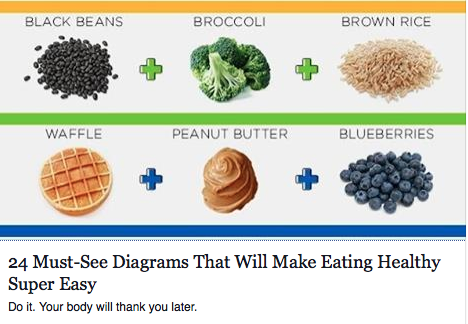 I had a friend share this brilliant collection of diagrams that will help with a plethora of questions, meal dilemmas and shopping conundrums. 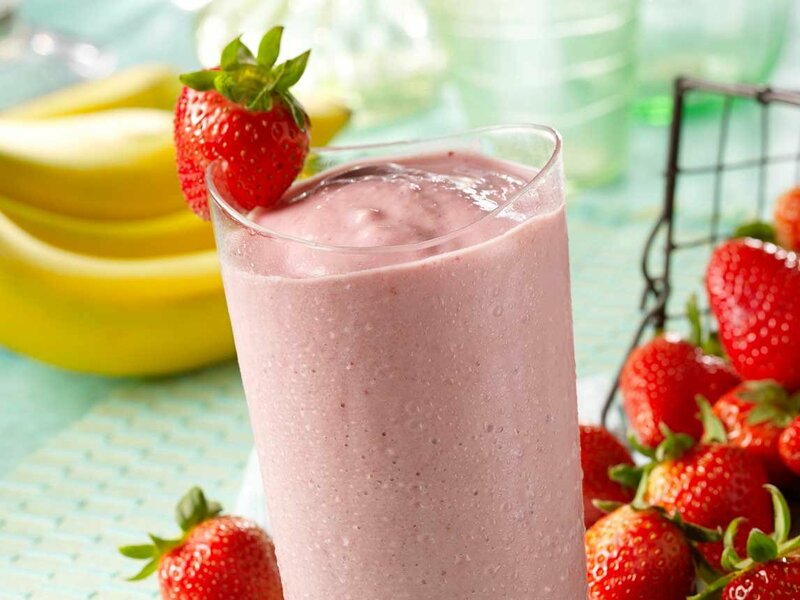 Salads, smoothies and snacks – oh my! Keep this handy people and you’ll have some fabulous guidelines right at your fingertips! I’ve said this before but I adore anything lemon, whether savory or sweet, I gravitate toward the sour pucker of that citrus! So, here’s a clean-eating riff on one of my favorite Italian dinner dishes. Heat olive oil in a large non-stick sauté pan over a medium high heat. Season chicken with salt and pepper and add to the pan, seasoned side down. Cook chicken for 3-4 minutes or until it has lightly browned (be sure to season opposite side of chicken while it’s cooking) and then flip over and cook another 3 minutes on the opposite side. Remove chicken from the pan and set aside on a plate, covering with aluminum foil. To the hot pan add lemon slices and garlic, stirring and turning lemon until they are golden brown, about one minute. Remove lemon slices. 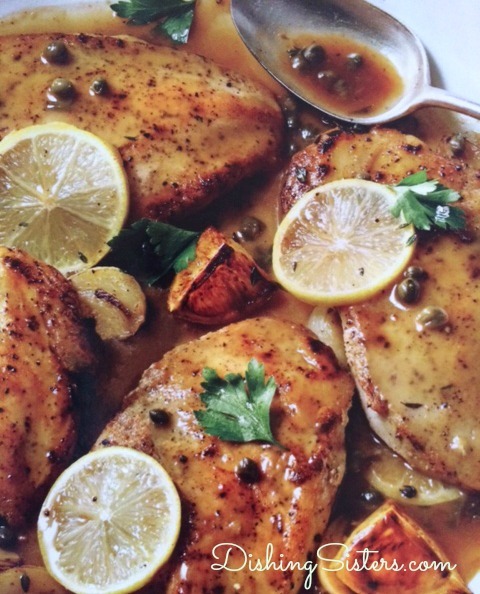 Add lemon juice, wine, and capers to the pan, making sure to scrape up any brown bits stuck to the bottom of the pan. Simmer until liquid has reduced and slightly thickened then add chicken back in pan, turning to coat. 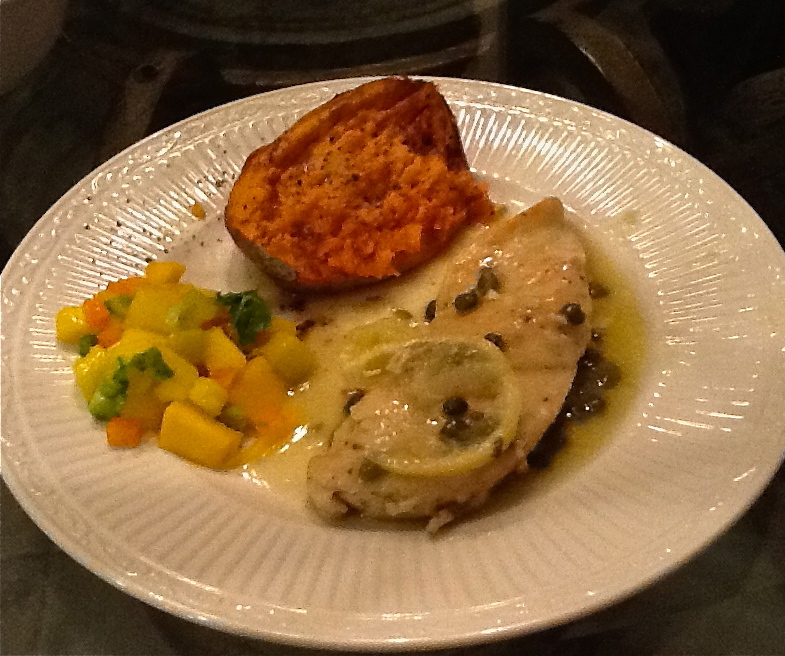 Once chicken is coated and hot, plate and top with the browned lemon, pouring on extra sauce to finish. Serves 4. Bon appetite…with no guilt here! So here I am on my quest to eat better in 2015 and I think I’m 1-for-1. Found this recipe, courtesy of Clean Living Magazine and loved that it involves a crock pot, EASY…SCORE! 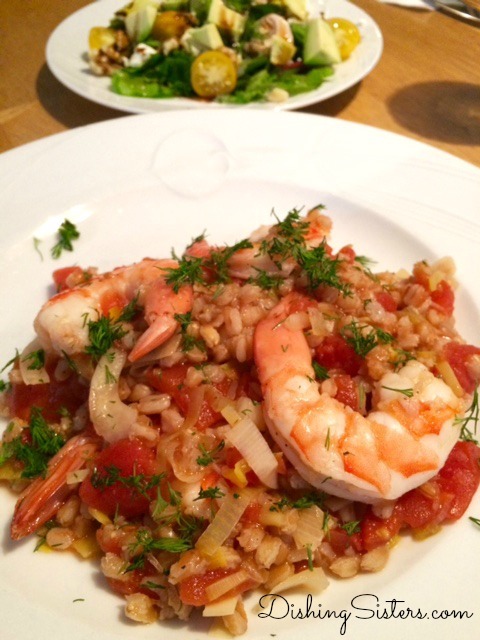 This “risotto” has some interesting flavors with the fennel and the soft onion flavors of the leeks. It didn’t originally call for S&P so I added that as well as dill which is a favorite herb of mine. Next time I think I’ll add some peppers to spice it up a bit. The good news? 2 Cups = only 370 calories, 2 grams of fat, 63 grams of fiber and 25 grams of protein! In a 5-qt. 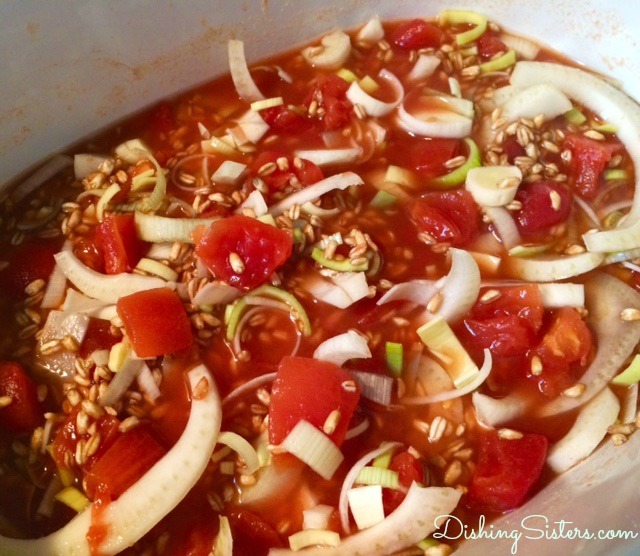 slow cooker, add tomatoes, leeks, fennel, farro, broth, tomato paste and 1 1/2 cups water; stir to mix in tomato paste well and season with salt and pepper. Cover and cook on high for 2 hours, stirring about every 30 minutes. Remove lid, add shrimp and stir to combine. Replace lid and cook for an additional 30 minutes, stirring after 15 min, until shrimp are pink and opaque. Garnish with parsley or dill and serve with a side kale/spinach salad. Posted in Fishin' n Dishin', Good for you grub, It's a meal!, What a crock! Let me re-introduce myself, I’m Lisa and I have a very neglected website. Well it’s a new year and one of my new resolutions is to resurrect my poor site and breathe some new life into some old food thoughts! My second resolution for 2015 is to eat better, you’ve heard the term, “Clean Eating”. 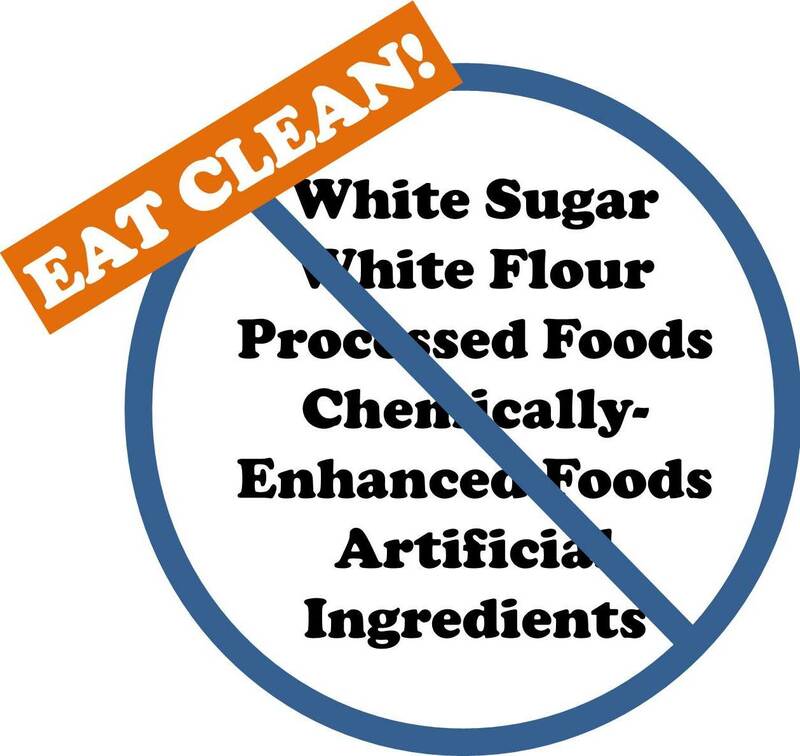 I see the eye roll, so let me clarify – clean eating isn’t some fad diet (I hate the word diet!) it’s actually a lifestyle change. It’s turning down the fast and processed food and concentrating on REAL food, which I have to say can be very delicious. Here’s the kicker, if you do that not only will you change your body and lose weight, you’ll actually feel better! Baby steps are OK, gradually start replacing items with better choices and we’ll get into the habit gradually together. 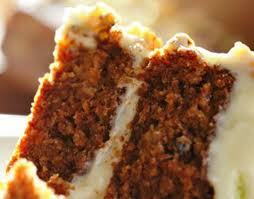 The Easter bunny called, he wants Carrot Cake again! Every time I make this cake, (which by the way is likely the most moist and one of the most delicious cakes I have ever had) people ALWAYS ask for the recipe. So I’m happy to share this deliciousness with you in hopes that you and yours enjoy it as much as we have! This cake is fabulous for an Easter gathering! Word of warning…make it once and you’ll be asked to make it time and time again. It is a bit time-consuming but well worth the effort. Beat the sugar, oil, and eggs together in the bowl of an electric mixer until light yellow. Add the vanilla. In another bowl, sift together 2 1/2 cups flour, the cinnamon, baking soda, and salt. Add the dry ingredients to the wet ingredients. Toss the raisins and walnuts with 1 tablespoon flour to keep from sticking together, then add to batter. Fold in the carrots and pineapple and mix well. Mix the cream cheese, butter and vanilla in the bowl of an electric mixer fitted with the paddle attachment until just combined. Add the sugar and mix until smooth then frost cake/cupcakes. This Cake Will Definitely Make Irish Eyes (and tummies) Smile! Well I’m not Irish and green eggs and ham really don’t sound that appetizing to me but what I DO love are the parties and you can’t have a party without DESSERTS! 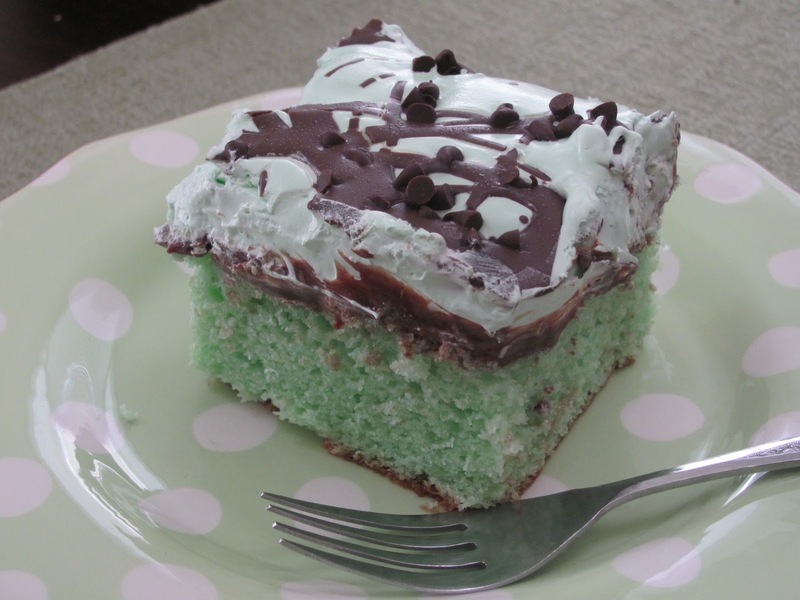 So here’s my tip o’ the hat to St. Patty’s Day with a super easy, deliciously minty, shamrock green cake. Preheat oven to 350 degrees. Make cake as directed on package, but just before pouring batter into 9×13 pan mix in 3 Tbs of creme de menthe. Bake according to package, then cool completely. Top cooled cake with fudge topping, then fold remaining 3 Tbs of creme de menthe into the whipped topping. Cover the top of the fudge completely. If desired, drizzle a little of the chocolate shell topping or chocolate shavings over the top. Serve. Keep in refrigerator. and may trouble avoid you whereever you go! Hey friends, you haven’t been ignored, we’ve been cooking up a storm! We’re excited to announce that in the last several months we’ve teamed up with Tyson’s Deli Anytime products to create quick and easy solutions for any meal. Now with a few ingredients from your deli you can whip up dozens of scrumptious eats in a jif! Preheat oven to 425 degrees. 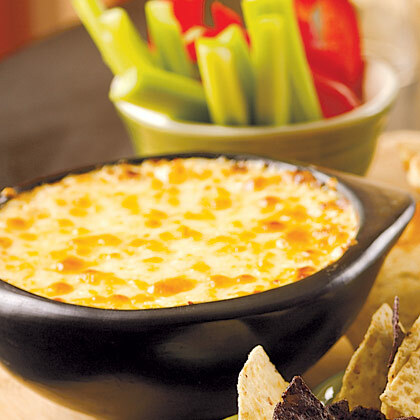 Mix the cream cheese, mayo, lemon juice, Old Bay and cheddar cheese together. Fold in the crab and add a S & P to taste (add hot sauce now if desired). 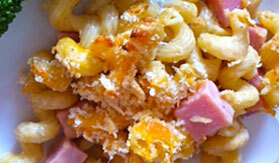 Spread in a buttered baking dish and top with panko bread crumbs. Bake until golden and bubbly, about 15 minutes. Serve warm with crackers and celery/carrot sticks. Preheat oven to 325 degrees. Boil the corn syrup, butter, brown sugar, salt and vanilla for 1 minute. Add the baking soda. 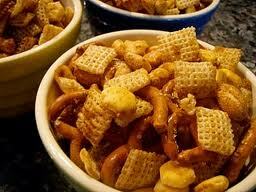 Toss the cereal, crackers, pretzels and nuts with the hot mixture. Spread on an oiled baking sheet and bake for 45 minutes, stirring every 15 minutes. *Thanks to Pineapple Grass and Food.com for the image share! 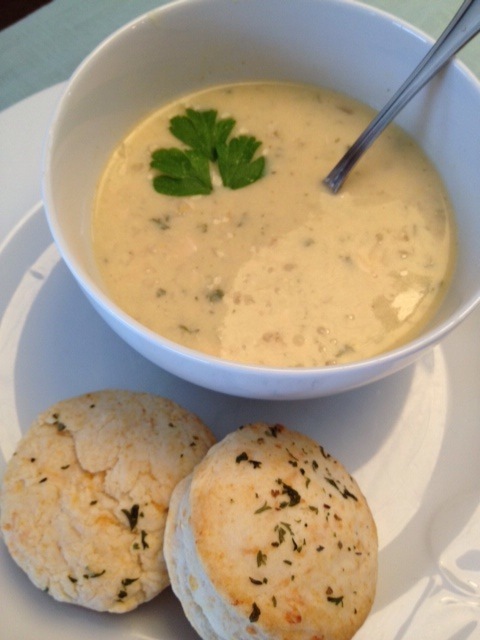 Avgolemono…It’s all Greek to me! Recently a co-worker inspired me when she started talking about a soup that we occasionally get at a terrific little deli down the street. She has a daughter that is gluten intolerant and learned that not only is the soup easy and tasty, it’s also gluten-free…BONUS! Avgolemono (Ahv-go-lim-oh-no) is of Greek origin and means egg lemon. The modern Greek definition of the word is a soup made with beaten eggs, lemon and chicken broth. Well if you throw a few more interesting ingredients in, you have one dandy-delicious bowl of goodness! In a bowl, stir the milk and the cornstarch together – mix thoroughly. Whisk in the egg yolks, one at a time. Set aside. Bring the stock to a boil in a large pot. Add the parsley, thyme and onion and simmer 10-15 minutes. Add the rice, cover and continue cooking for about 15-20 minutes until the rice is tender. Add the diced chicken and remove from heat. Take about 1 cup of the hot soup mixture and slowly whisk it into the egg/milk mixture, stirring continuously. (This will “temper” the egg mixture before adding it to the soup, avoiding the eggs to scramble!) Add one more cup of soup to the egg mixture, then slowly pour the entire egg mixture back into the soup pot, whisking until completely added. Add the lemon juice, zest, butter and season with S & P. Turn the heat back on to low, making sure NOT TO BOIL the soup (or the eggs may curdle the broth), but to let it slowly simmer for about 5 minutes, until the soup begins to thicken. This soup cannot be frozen, but will keep in the frig for about 5 days (and reheats nicely!). If you noticed my last post you might have been newly introduced to the ‘big-as-your-head’ Ponderosa Lemon! So in celebration of this unusual citrus (and a fab Girls Trip to Florida) my friend and co-traveler Connie, whipped up a beautiful dish with our new found mega fruit. Heat 1 Tbs of EVOO in a large skillet. Meanwhile, add S & P to flour and coat both sides of the chicken. Brown chicken at medium heat for 2 minutes on each side. Remove chicken and place on plate. Deglaze pan with wine and add garlic. Cook and stir until garlic is browned. Add broth, capers and lemon juice. Return chicken to pan, cover and cook for 2 minutes on each side. Remove chicken and add butter and lemon slices. Cook until butter melts and lemons are translucent. Pour sauce over chicken and serve. Here’s to great friends, fun travels and delicious contributions in the kitchen! Thanks Con!